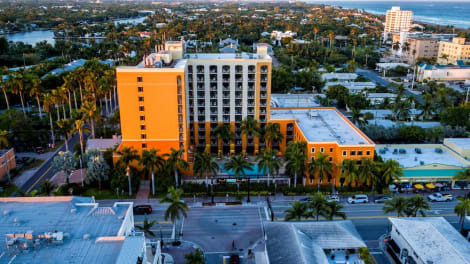 When you stay at The Seagate Hotel & Spa in Delray Beach, you'll be on the Strip, just steps from Atlantic Avenue and 6 minutes by foot from Veterans Park. 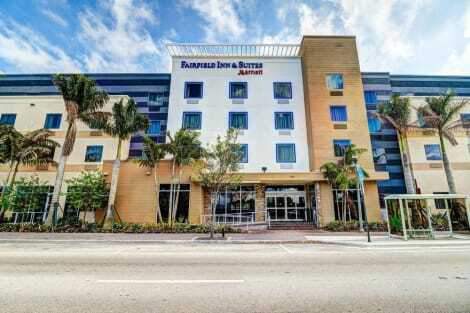 This 4.5-star hotel is 8 mi (12.8 km) from South Beach Park and 8 mi (12.9 km) from Mizner Park. Make yourself at home in one of the 28 individually decorated guestrooms, featuring microwaves and LCD televisions. Your bed comes with down comforters and premium bedding. Complimentary wireless Internet access keeps you connected, and cable programming is available for your entertainment. Private bathrooms with showers feature complimentary toiletries and hair dryers. Make yourself at home in one of the 11 air-conditioned rooms featuring iPod docking stations. Rooms have private patios. Complimentary wired and wireless Internet access keeps you connected, and cable programming provides entertainment. Private bathrooms with showers feature complimentary toiletries and hair dryers. Grab a bite from the grocery/convenience store serving guests of Fairfield Inn & Suites by Marriott Delray Beach I-95. A complimentary hot/cold buffet breakfast is served daily from 6:30 AM to 10:30 AM. Located on Delray Beach, this self-catering apartment features a full kitchen and access to an outdoor pool. Atlantic Avenue and Seagate Beach are 1.4 km away. Fully furnished, this apartment includes a separate seating area with a sofa and a cable television. Extras include towels and linens at GetAways at Dover House Resort. Guests can grill meals outside at the barbecue facilities, and a launderette is available for added convenience. 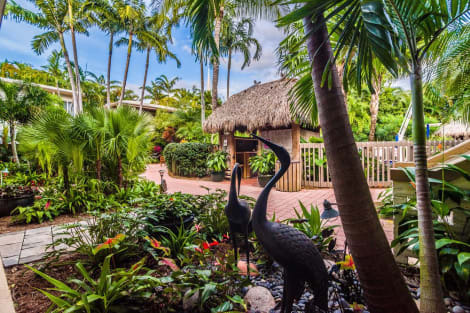 Parking is provided at this Delray Beach GetAways at Dover House Resort property for a fee. The apartment is within 1 km of Atlantic Dunes Park and 2.3 km from Delray Mall. Gulfstream Golf Course is 3 minutes’ drive away. lastminute.com has a fantastic range of hotels in Delray Beach, with everything from cheap hotels to luxurious five star accommodation available. We like to live up to our last minute name so remember you can book any one of our excellent Delray Beach hotels up until midnight and stay the same night.